Boost Standard Forwarding shipping with ShipHawk’s Smart TMS™. ShipHawk brings Standard Forwarding automation, data and analytics to supply chains with TMS 2.0™ technology. Empower operations, sales, marketing and customer service teams with powerful, automated Standard Forwarding shipping software. 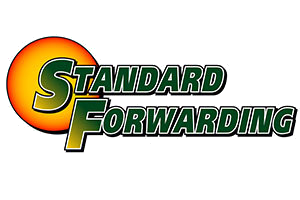 About Standard Forwarding Company, Inc.
Standard Forwarding is a top-quality LTL carrier with 17 terminals spread throughout the Midwest. They provide overnight service within and between Illinois, Iowa, Wisconsin, Indiana, Minnesota, as well as St. Louis, MO, Omaha, NE, and southern Michigan. ShipHawk’s Standard Forwarding Smart Shipping Software™ saves time and money with every shipment processed. Connect Standard Forwarding with your WMS, ERP or eCommerce platform. Fully automate your relationship with all your Standard Forwarding shipments. Get Standard Forwarding data in real time.